One thing that can be said about Chile’s climate – and that is that it differs greatly depending on where you are in the country. Chile is one of the longest north-south countries in the world, extending across 38 degrees of latitude and its climate varies significantly along its length. If you are in the south you are likely to be experiencing a cold Alpine climate. If you’re further north in central Chile, the climate is more of a temperate Mediterranean climate. Up in the far north of the country, the climate is dry and arid. Over on Easter Island you’ll experience a climate that is humid and subtropical. Generally speaking, summer in Chile runs from December to March and winter from June to October. There are pronounced seasonal differences with heavier rainfall in the cooler months of May to August, and sun the rest of the year. 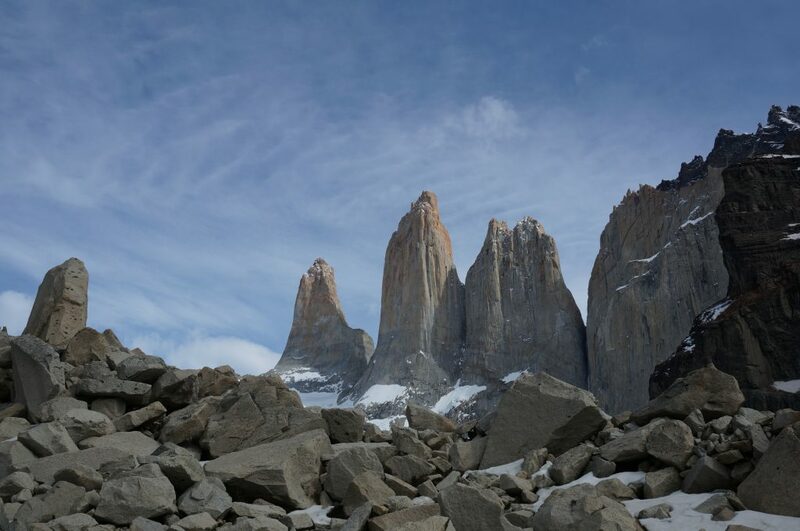 For a little more info on Chile’s four major climatic zones – read on! Chile’s north is dry and arid, with sunny dry conditions for most of the year. The Atacama Desert is one of the driest places on Earth. It has some of the world’s lowest amounts of rainfall and highest levels of solar radiation, blocked from moisture by the Andes Mountains on one side and by the coastal range on the other. 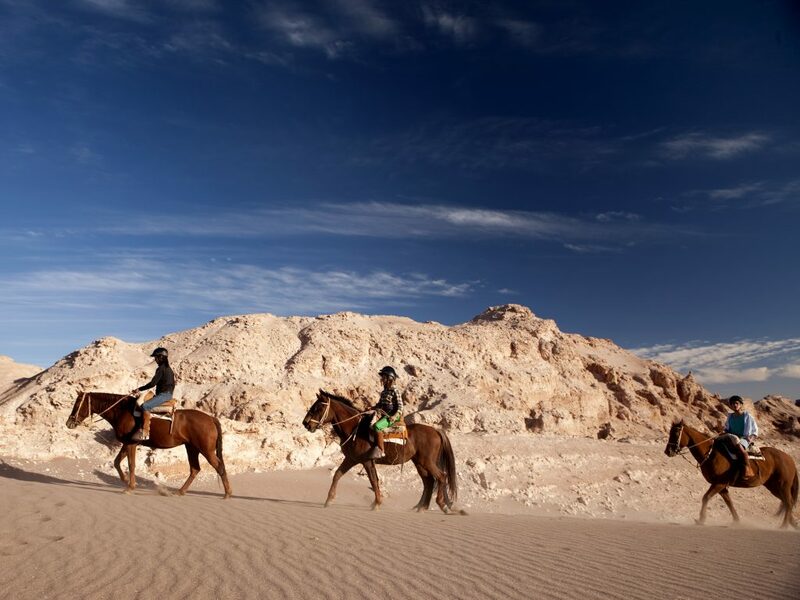 The Atacama Desert is dry and arid, with hot days and cold nights. In the summer, daytime temperatures can exceed 38°C, plummeting to around 5°C at night. In the winter, although days are crisp and sunny, it can be bitterly cold at night, with temperatures below 0°C. The weather tends to be milder along the northern coast, ranging from 16-32°C during the summer. Chile’s central region has a temperate climate with four distinct seasons. In the summer months temperatures reach highs of about 28°C. In the middle of winter (July), temperatures fall to around 14°C, sometimes lower and it is the winter months when most of the rain falls. In the spring and autumn, days are cool with some light breezes. 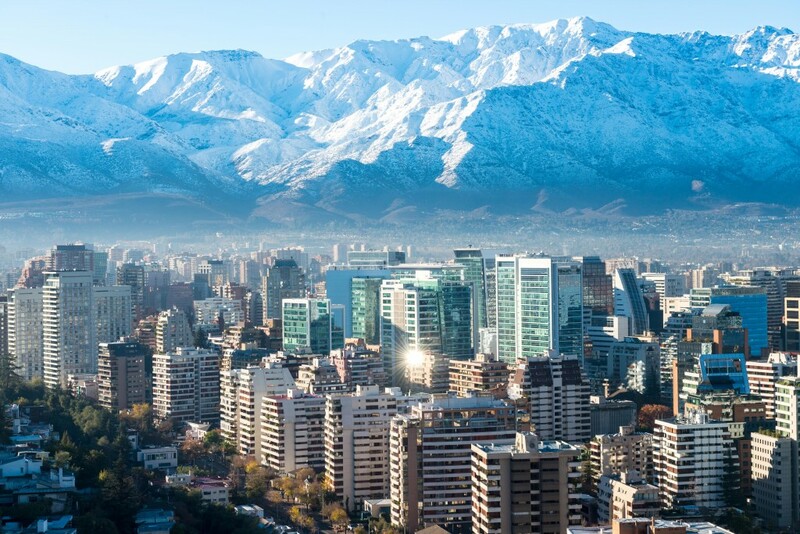 Santiago sits in the central part of Chile and boasts an ideal climate, which is probably why around 80% of Chile’s population lives in the capital! Further south in Patagonia the weather is extremely cold for most of the year, except in the summer months of November/December to March. The weather is unpredictable even during the summer, and the windiest months are in fact mid-December to late February. But don’t let that deter you from going! Winters see irregular snowfall with temperatures dipping to as low as -15°C. 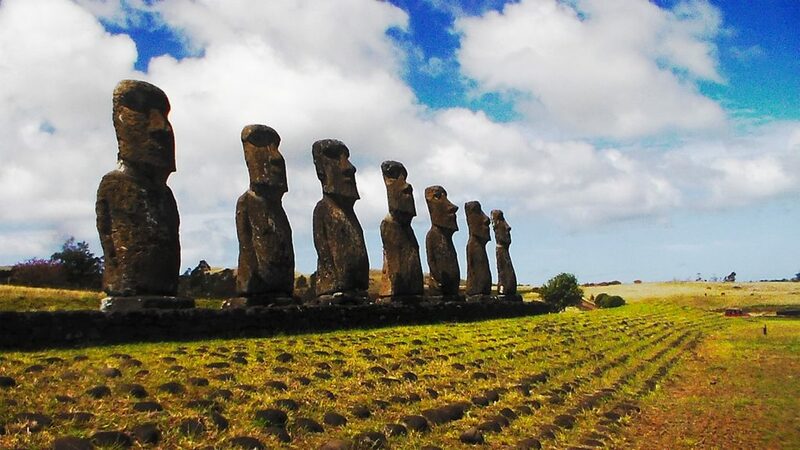 Easter Island, located way out in the Pacific Ocean over 3,500 kilometres west of Chile, has a humid subtropical climate. It is warm and humid in the summer and mild in the winter months. The lowest temperatures are in July and August when temperatures hover around 15-18°C. The highest temperatures are recorded in February when it often reaches 28°C, but summers are comfortable due to the sea breezes – it is an island after all! Rapa Nui sees quite a lot of rain year-round, but April and May are the wettest months. Winter or Summer, Chile is a year round destination and offers a large and beautiful variety of nature and culture. Check out all the unforgettable trips to Chile or let us create a bespoke itinerary for your next South America Adventure. After all this is what we at Chimu Adventures do best. Click here for more information about Chimu.